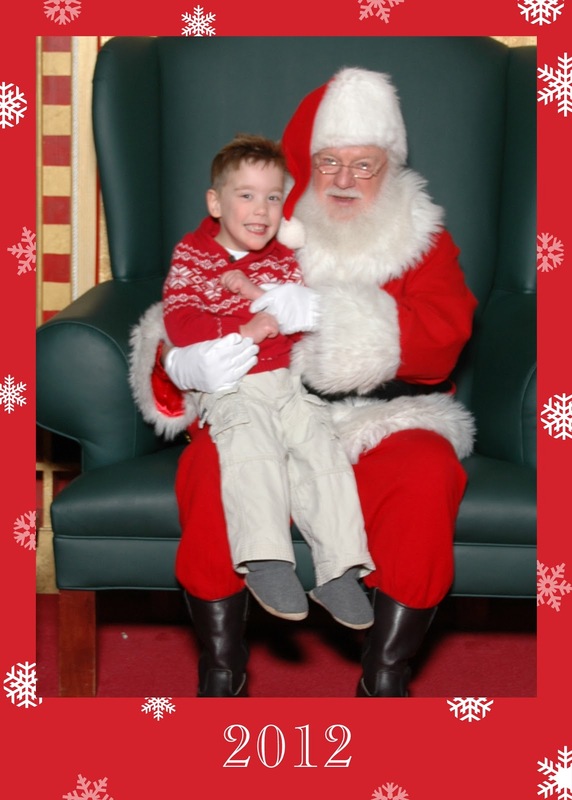 A morning trip to see the white-bearded man at the Woodland Mall resulted in extra time with Mr. Claus, who was quite endearing and sweet with Cam. Cameron told Santa he wanted some books for Christmas and we are thankful that his parents love of the written word is also a favorite of their son's. Cam was invited to the annual Mary Free Bed holiday party. He saw a giant Rudolph, the Gingerbread Man (missing one shoe, which gave Cam a big laugh!) and other characters. Plenty of activities keep all of the kids busy- a cookie decorating room, balloon animal guy, face painting, just to name a few. The balloon man made Cameron a monkey and a visit to Santa produced a wrapped gift, which Mary Free Bed gives to every child who attends. An electronic dinosaur was inside the box and Cam liked the present very much. Stella, the cat, on the other hand, still runs away from it. This week, we proudly displayed Cameron's Christmas stocking on our fireplace mantle for the first time. It was made by his sweet cousin, Katie, who captured all of her buddy's favorites in needlepoint. On this stocking you find Elmo, mac-n-cheese, goldfish crackers, Stella, the beach, a McDonald's milkshake, cookies, and other treasures.